Preface: on this page I talk about the urban rail transport in Tokyo, but what I wrote is more or less valid for the metro network of other cities like Osaka or Kyoto. 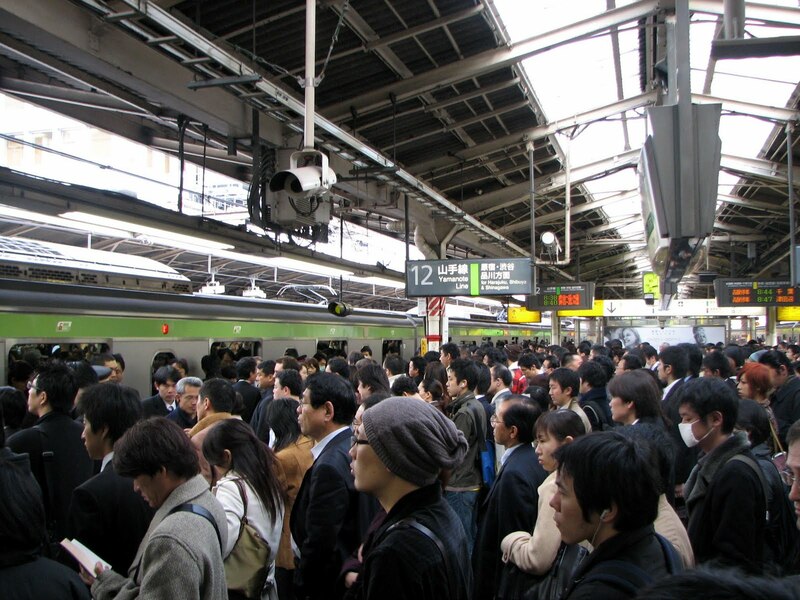 One of the most common fears among those preparing to travel to Japan is the first move in the chaos of Tokyo urban transport system. Se vi secca leggere tutto quello che c'è scritto sotto, vi basta sapere che usare la metropolitana a Tokyo, superato l'impatto iniziale, è molto facile. The only prerequisite is a minimum knowledge of english. In fact, all stations and trains have information in Japanese and english, both written and via loudspeakers. Actually this isn't so true because I think that everyone can follow the arrows to the name of the line or the station (all written both in kanji and western alphabet). I would say that the only prerequisite is the ability to read and be awake, so don't worry. 1. There isn't only one company for example as the MTA in New York , but several companies. It may therefore happen that you should take two lines of two different companies, then you have to buy a ticket, get to the interchange station and have to buy another ticket. Moreover, in addition to the underground metro, there are some widely used railway lines, operated by several other companies (the most famous is the JR Yamanote line), that are widely used in their urban sections. 2. You can't "buy the metro ticket" and go as we usually do in Europe, because there isn't a standard price but every route has its price. 1. Despite the many companies, if you're going to Tokyo for the first time you will probably go to visit the famous places in Tokyo, all of which are definitely reachable through the network of "Tokyo metro", or through the "Yamanote Line" of JR (Japan Railways). Sometimes it could happen (for example to Tsukiji or Roppongi) that the route could be shortened taking a "Toei metro" line (almost exclusively the Toei Oedo Line). 2. All tickets vending machines are easy to be used and they are all also in english. To know the price of each route you will always find in each station big maps where it is written the cost to reach each any other station from the station where you are. 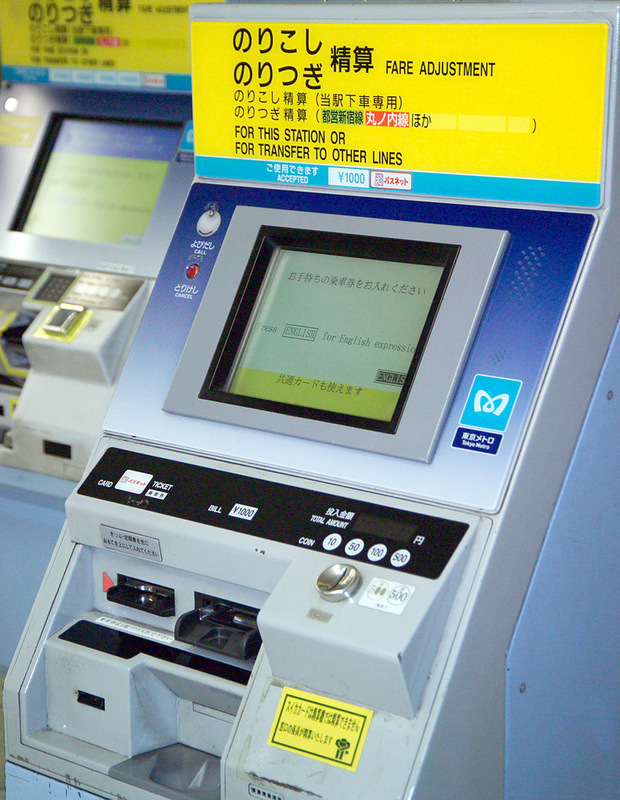 Also, if you really can not understand the cost of the ticket that you need, you can buy a minimum fee ticket and then once you arrive at your destination, pay the difference in some special machines called " fare adjustment " found near any the exit turnstiles. Furthermore, if (as It should be) you have made ​​the SUICA or PASMO card, you mustn't worry about any ticket, but only to keep your card charged with enough money. What are SUICA/PASMO cards? 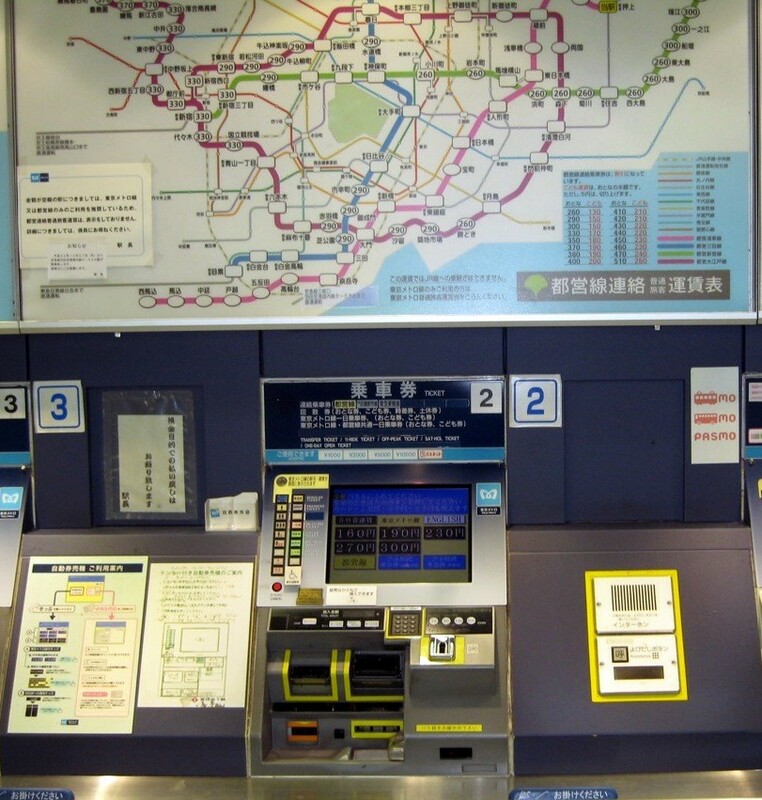 It may happen that in some secondary station, as shown in the photo above, the map of tariffs is only in Japanese, so I recommend you bring a subway map in English to help you "decipher".